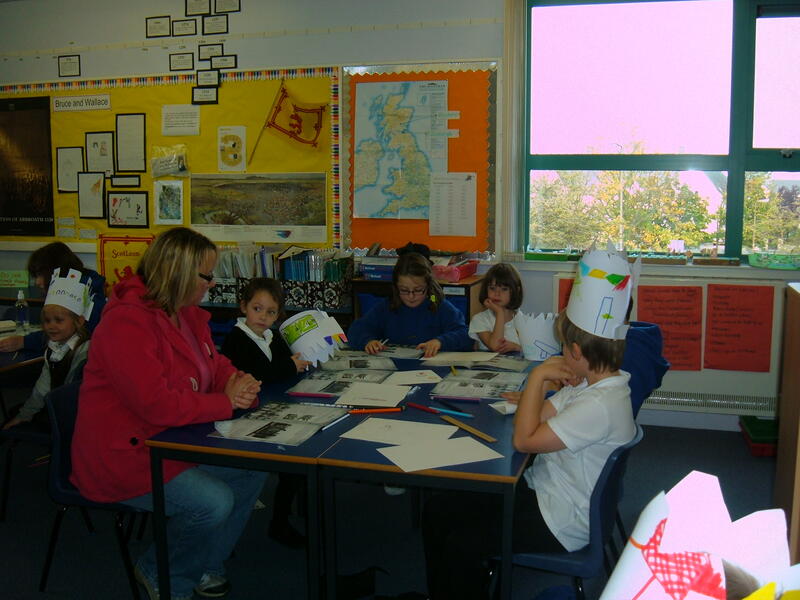 P3/4 at Macmerry Primary hosted a very successful book group launch party yesterday at Macmerry Primary School. 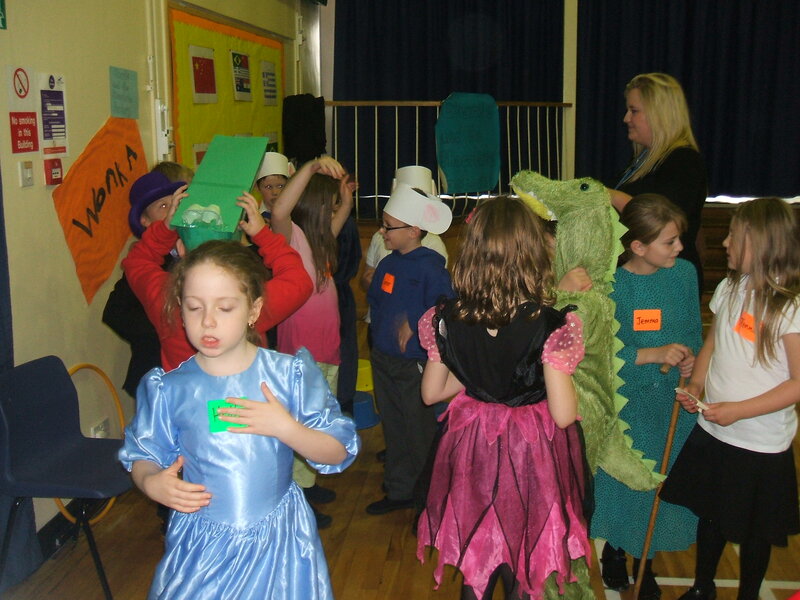 Book ambassadors from our cluster schools came to have an afternoon of fun activities based on Roald Dahl’s books. It was a brilliant opportunity for pupils to get together and talk about what they have read, their favourite parts of certain stories and to hear about books that they might like to read in the future. 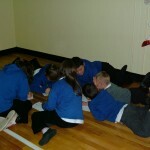 The pupils visited three activites. Miss Wilson was in charge of the chocolate factory for the afternoon. Pupils pretended to be Oompa Loompas, carrying chocolate pots on their heads. They made their way through the factory, balancing over the chocolate river, stepping carefully across the chocolate stepping stones and crawling through the underground tunnel without dropping their chocolate pots. When they were in the factory they were free to have a break and play some games, Greedy Visitors and Roald Dahl Corners. 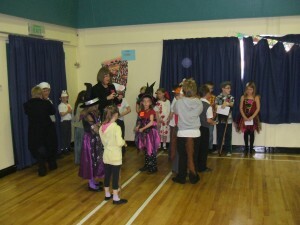 Mrs McBean and the pupils got creative in the The Witches room to create sounds to link with a passage of The Witches. The pupils performed these to the rest of the group before decorating witches hats with sound words like ‘whiz’, ‘bang’ and ‘crackle’! 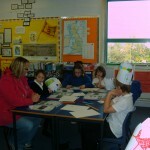 The third activity was based on The Twits, led by the Roly-Bird (Mrs Baird). Pupils who hadn’t read The Twits found out just how disgusting Mr Twit is and created a disgusting beard full of rotten food. There were some brilliant costumes; Willie Wonka, The Enormous Crocodile, witches, Roald Dahl as a boy, Mr and Mrs Twit, George (with his wooden spoon and medicine recipe book) and Charlie Bucket to name a few!!! 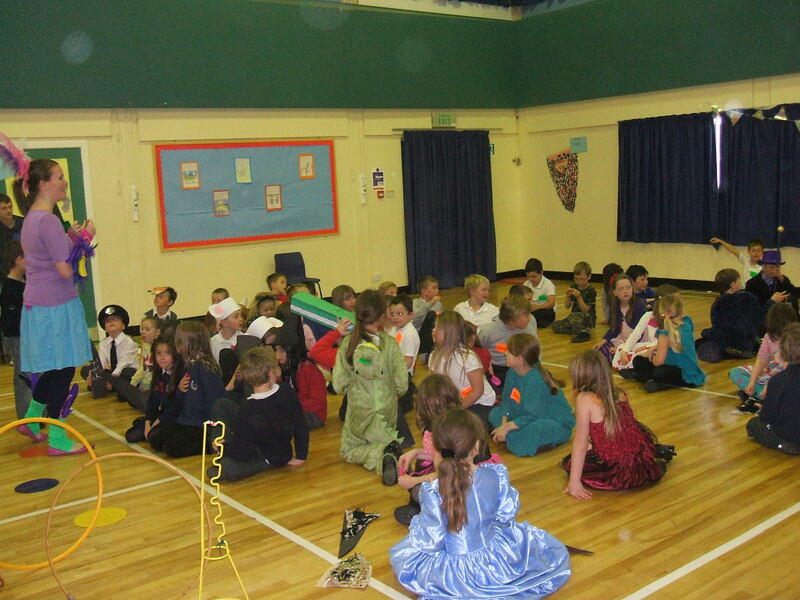 The pupils worked extremely hard to ensure that the event would be fun for everyone and well organised. Each pupil had a very important job to do and they performed these jobs perfectly!! 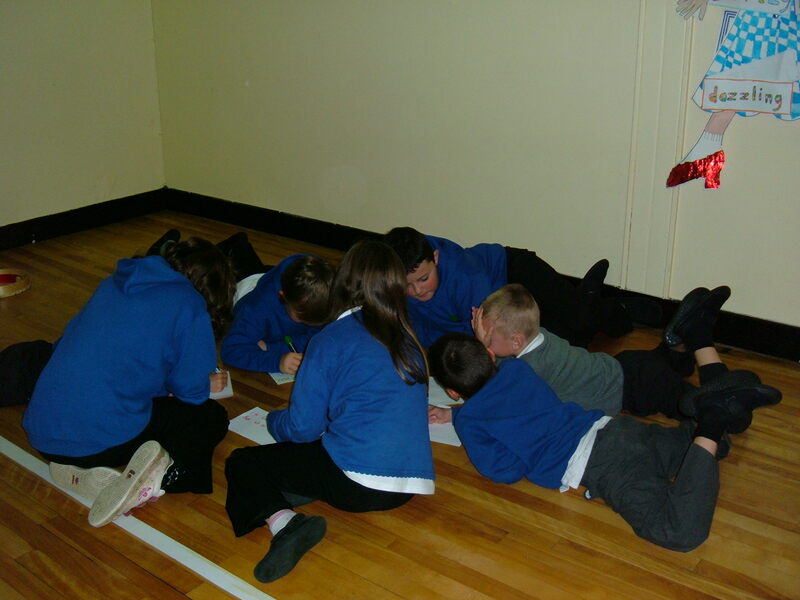 P3/4 – you did a scrummdiddlyumptious job!!! Well done!! We hope our visitors had a great time! All pupils from P1 – P7 took part in a M.A.D. history challenge on the last day of term. They worked in mixed age groups and took part in three, skill based, challenges! 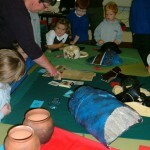 In Mrs Robertson’s and Miss Wilson’s rooms the pupils were focusing on artefacts. 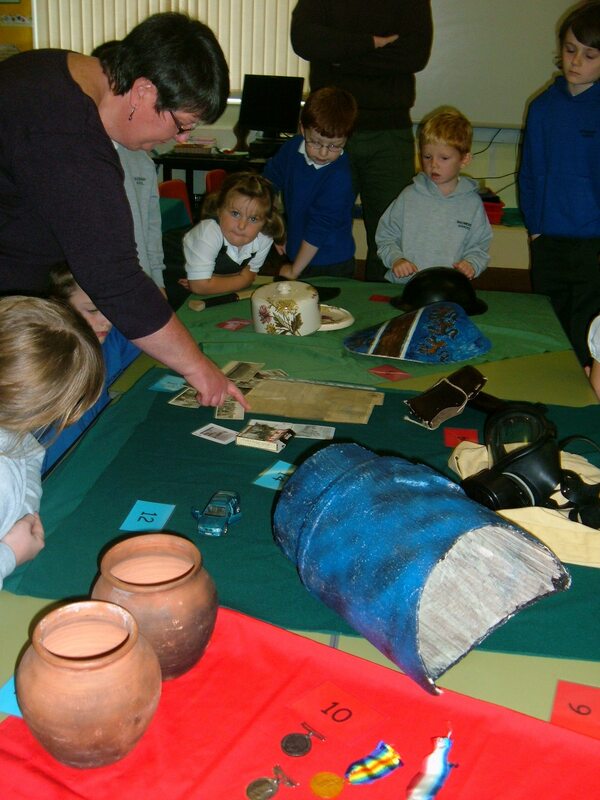 The first part this challenge was to observe a variety of artefacts and then using their knowledge, understanding and experience of historical topics they tried to think about what they are and what they were used for. The second part of this challenge was to arrange pictures of objects, from a modern day ipod to a victorian iron, in chronoligical order. In Ms Murphy’s room the pupils were focusing on the Macmerry Gala. In this challenge the pupils were using photos form ‘Macmerry Lives’ as a source of evidence to learn about what the Gala was like a number of years ago. They then used their own experience of the Gala and used comparing and contrasting skills to find differences and similarities between the past and now. 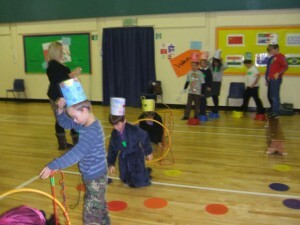 The pupils then made wonderful crowns. In the gym hall pupils were using a silent film of VE Day celebrations. In this challenge the pupils were asked to analyse the film and think about what was happening. The P6/7 pupils were able to use their understanding from their recent WW2 topic to support the groups in this challenge. The pupils were then asked to make a commentary for the silent film. Each pupil pretended to be someone in the film and wrote about what they thought the person might be feeling/thinking. As the film played the pupils read aloud their sentence. There were many bands playing in the film so the pupils played musical instruments when the band was on the screen, cleverly aided by Mrs Greenwood sign – BAND! It was a very successful morning, which concluded a very successful challenge week! A big thank you to all of the fantastic helpers! Where in the world India is ? What the capital city is. What the houses are like. What the weather is like in India. What kind of animals live in India. What is the traditional Indian meal? Which crops are grown in India? Special days / occassions / celebrations. What lanuages are spoken in India and are they written the same way as English? Are there foods we eat that come from India? We would like to know more about dancing , music and instruments. Who is the leader in India? P5/6 are hoping to enjoy this project. by Jack L :), Chloe S :), Rebecca M 🙂 and Chantelle S :).